You are the natural or adoptive parent of the minor child & you are not legally married to the other parent. Paternity has already been established because (1) you already have a court order establishing paternity or (2) you have a court order for child support or (3) in the hospital, when the child was born, or afterwards, both parents signed an Affidavit Acknowledging Paternity stating the name of the father. The minor child must have resided in Arizona for at least 6 months before you file the petition. If you have a joint or sole custody order you can ask for a change of custody if at least 1 year has passed since your joint or sole custody order was signed by the court. There has been significant changes in circumstances that make a change in custody necessary for the good of the minor child or there has been domestic violence, spousal abuse, or child abuse & you have evidence that the best interest of your minor child requiring a change. Court fees separate. Ask about fee deferral/waiver, included for qualified, if applicable. Click here for Arizona Superior Court family filing fees. Process server fees separate. Prices subject to change. Terms & conditions may apply. Ask for details. WHY PAY A LAWYER?™ for Child Custody. Free Consultation. Make Appointment Today. If the parents cannot agree on custody of the children, the Court will make the decision according to “the best interests of the children,” taking into account many factors including where the child has been living, the child’s wishes & the mental health of the parents. The Court will not prefer a parent solely because he or she is male or female. The Court may seek the assistance of social workers & other professional persons. There is no legal presumption that sole custody or joint custody is preferable. Regardless of the type of custody arrangement ordered, both parents are entitled to have equal access to medical, school & other records of the child, unless this would put the child or the other parent in danger. Joint custody can mean joint legal custody or joint physical custody or both. Joint legal custody means that both parents make legal decisions & neither parent’s rights are superior. Joint physical custody means that the parents, in a manner that assures the child has substantially equal contact with both parents, share the physical residence of the child. There is no presumption in favor of sole or joint custody. The Court may order joint custody if both parents agree & submit a written parenting plan & the Court finds it in the best interests of the child. If the parents do not agree, the Court may still order joint custody if it determines that joint custody is in the child’s best interests. Joint custody will not be awarded if the Court finds there has been significant domestic violence. Is there a mandatory education program regarding child custody & visitation? Yes. If there are children involved, each party must attend a court-approved parenting education program educating the parties about the impacts of dissolution & how they affect the minor children. A non-participating spouse may not be able to obtain any court relief in the dissolution process without completing the program. May I move outside of Arizona with the child? If both parents reside in this state, at least 60 days advanced written notice must be provided by the parent with physical custody to the other parent before the child may be removed from the state, or more than 100 miles from the other parent. The non-moving parent can request a hearing to stop the move. A parent who has joint legal custody and joint physical custody who is required to relocate in less than 60 days after written notice, may do so ONLY if both parents agree or there is a court order. What do I have to show to change custody? For the court to change custody from one parent to another, you must first show that there has been a “substantial and continuing change in circumstances” that has affected the child since the last custody order was entered. Second, you must show that changing custody is in the “best interests” of your child. A petition for change of custody will not be accepted unless at least one year has passed since the last custody order was entered except where the child is in danger. If, however, joint custody was ordered & the one parent has failed to comply with the terms of the order, you may file a petition for change of custody after six months have passed since the last custody order was entered. The Court reviews the petition & the response & then decides whether to reopen the case & have a custody hearing. Is there anything that can be done if my ex-spouse has custody of our children & refuses to allow the Court ordered visitation? You can request a hearing to enforce visitation. A “conference officer” will meet with the parents, evaluate the problem & make recommendations to the Court if the parents are not able to resolve the visitation problem with his or her help. 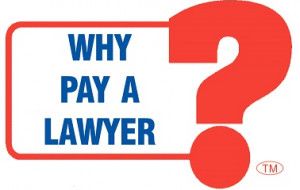 The Court can sanction a violator by awarding attorney’s fees, make up visitation, ordering counseling & imposing fines.